Since it first opened its doors in 1985, Sensi Seeds has been a revolutionary force at the forefront of the global cannabis seeds industry. Today, this tradition continues, thanks to the pioneering firm’s ever-evolving line-up of hybrid strains, their dedication to preserving a comprehensive catalogue of original genotypes and the company’s unwavering focus on achieving and maintaining the highest possible levels of quality and consistency across the board. Sensi Seeds has spent the past three decades working tirelessly to secure the future of nature’s miracle herb, by gathering and expanding upon a meticulously catalogued collection of seeds from across the globe: This makes Sensi Seeds the first port of call for all knowledgeable seed connoisseurs who are looking to expand their collections. 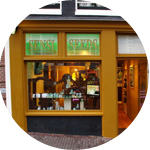 Sensi Seeds is a pro-active company which is held in high-regard by the medical cannabis community: In fact, the Dutch Bureau of Medicinal Cannabis decided to use Sensi Seeds as their key supplier of high-grade medical marijuana for pharmacists across the Netherlands, thanks to the supreme quality and consistency of their seed genetics. 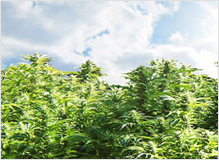 As modern science unlocks more of the wonderful secrets possessed by medical marijuana, Sensi Seeds can be counted on to stay on the cutting edge, innovating with bold new strains, refining the quality of existing genetics and finding new and improved ways of supplying the finest medical cannabis strains on earth. 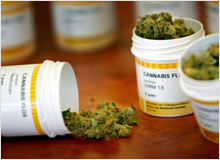 As with all quality produce, there happens to be a number of prestigious competitions and festivals which take place each year, celebrating and showcasing cannabis in its myriad forms. Whilst some breeders put a clear emphasis on creating champion strains specifically for such contests, these can often be one-hit wonders whose properties may be difficult to replicate under real-world conditions. Instead, Sensi Seeds has always taken a unique approach: By concentrating their efforts on maintaining the consistency, reliability and quality of their genetics across the board, they have made it their mission to bring high-grade genetics to every collector, from the beginner to the seasoned veteran. Thanks to Sensi Seed’s consistent, focussed approach they have won more cups and awards over the last 30 years than any other seed firm. As the world’s leading weed seeds resource, it may surprise you to learn that Sensi Seeds remains a family-run company, still full of passion for cannabis in its many forms, which sees the firm being involved in many more activities than just creating exciting new strains. 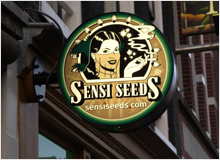 Sensi Seeds plays a key role in promoting, protecting and advancing the cannabis plant in all of its many forms, which include the famous Hash, Marihuana & Hemp museum (one of Amsterdam’s top attractions), the prestigious Cannabis College (A free information centre) and Europe’s top industrial hemp producers, HempFlax. 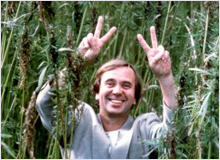 Throughout the 1970s, Ben travelled across the globe in search of new seeds to add to his collection for study, development and improvement, via some ground-breaking cross-breeding programs. 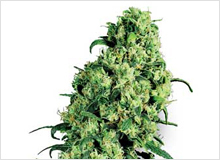 By the 1980s, a new breed of genetic hybrids from the USA hit the Dutch cannabis seed scene, which, of course, soon found their way into the hands of Ben as he sought to further advance his now mind-blowing collection of samples. 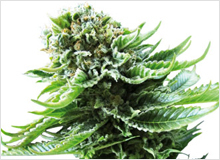 After years of development, Sensi Seeds was founded in order to standardise the hybrid breeding process and create ever more extensive, detailed records and catalogues of all known varieties of cannabis into the 1990s and 2000s. The rest, as they say, is history: But the future looks brighter than ever for Sensi Seeds: With seven sister companies (four of which focus exclusively on promoting and educating people about the cannabis plant), a huge array of awards under their belt (including the recent entry of founder Ben Dronkers into the High Times Counterculture Hall of Fame) and a loyal, ever-growing customer-base across the globe, we can’t imagine a future without Sensi Seeds! Please check with each shop for more info.